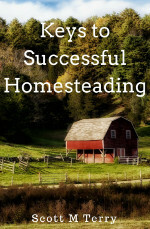 There are several homestead offerings in this year's Back to Basics Living Bundle, but Keys to Successful Homesteading by Scott M Terry is my hands-down favorite. Some of you may be familiar with Scott from his Christian Farm and Homestead Radio podcasts. I've been on his show a couple of times and can tell you from experience that Scott is extremely knowledgeable and practical about all aspects of farming, homesteading, and agrarianism. 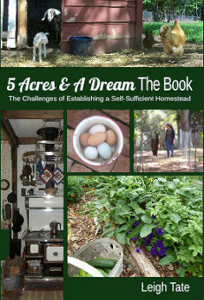 Most books on homesteading are how-to books. Don't get me wrong, these kinds of books are important and extremely useful. They contain skills that people are first concerned about, skills important for self-reliance. But did you know that there are a number of people who get into it, appear to be successful, and then quit? Homestead burnout really does happen. But it doesn't have to. Scott's book will help you avoid it. 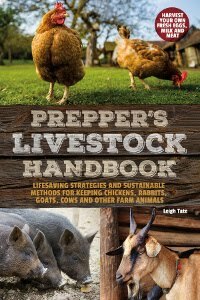 His book is probably one of the most practical books on homesteading out there, because he tells you what other homesteading books omit - the bottom line make-it-or-break-it stuff that is only learned from years of observation and experience. What he teaches you is how to have the proper mindset, realistic expectations, and make good choices. These skills don't come naturally in the modern world, which is why this book is an important addition to the library of everyone interested in homesteading: those still in the research stages, those just starting out, and those who've been at it awhile. Highly recommended. For a list of all the eBooks in the bundle, click here. If you are interested in any particular one and would like me to review it, just ask! Thank you Leigh, the review was great! His book sounds wonderful....is there an age limit? LOL! Sam, LOL. Scott has a pretty interesting background and I think it qualifies him to give advice. His dad was an old-style agrarian farmer to whom all the back-to-the-landers and homestead wannabes would flock for advice. I'm guessing they saw more failures than successes, and of course there's a pattern there. It's a good read for anyone interested on the subject.